is NOT recommended for WAV import into host software or hardware without VSTi support. Create your own Ethnic beats for today'z RnB HipHop! This multi-format collection contains 30 diverse ethnic instruments (virtually 60 instruments) ranging from Exotic Winds to Turkish Ouds to Celtic Harps! Each instrument is laid out across the keyboard with lower and upper splits. The lower split features 1 ethnic instrument in isolation with quick envelope release times, while the upper split features a layered ethnic instrument with longer release times and stereo imaging. The sonic result is an entirely new and unique ethnic instrument! 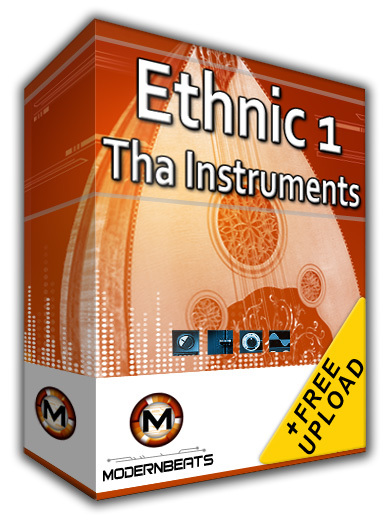 With the 30 multi-format presets included in this Ethinc HipHop Collection, you are actually getting 2 instruments within every preset resulting in 60 ethnic instruments in all! Get modern. Get ethnic. Get Ethnic HipHop!